The time has finally come to leave Japan. I always thought that I will stay here forever but sometimes fate pulls some unexpected tricks along the way. I will be flying back to the Philippines carrying the memories of Japan, a place where I worked and lived for ten years. For the meantime, I am keeping this post as short as possible. I will definitely write a lengthy one about my life in Japan. 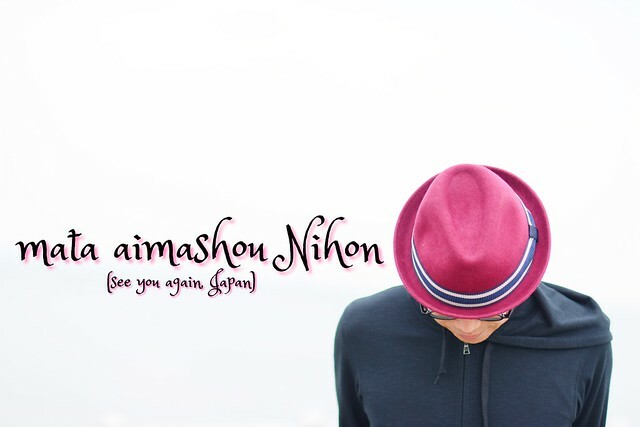 Mata Ai Mashou Nihon means See You Again, Japan. It is sad to leave a place one loves so much. I am certain you will return one day. Meanwhile, best wishes for you as you return to the Philippines, and may good fortune smile on you there. Totomai, it occurs to me your photography is so amazing, you might find work as a photographer for publications such as National Geographic. Have you explored that idea? You definitely have the talent. This is soo beautiful! Especially like; "to the bright fireworks in the warm nights of August sounds of geta." Totomai, what beautiful haiku. There is so much to miss, it seems, in Japan. I feel how hard it is for you to leave this place. Safe journeys, and I look forward to hearing more from you in good time. I'll definitely miss the four seasons, Mary. But I am equally excited of taking a break from work. A beautiful series of haiku. Your posts are just lovely - words and photos! Ten long years! That will mean lots of memories stashed up to be rekindled as and when. Looking at your post here where you included a sampling of the earlier postings one can look forward to lots of great ones in the ensuing months. Thanks for sharing totomai! I feel your sadness. But, life has so many twists that you may find yourself there again or maybe someplace you like even better. Take care and good luck. Goodbyes are sad...but they are also new beginnings. Good luck. 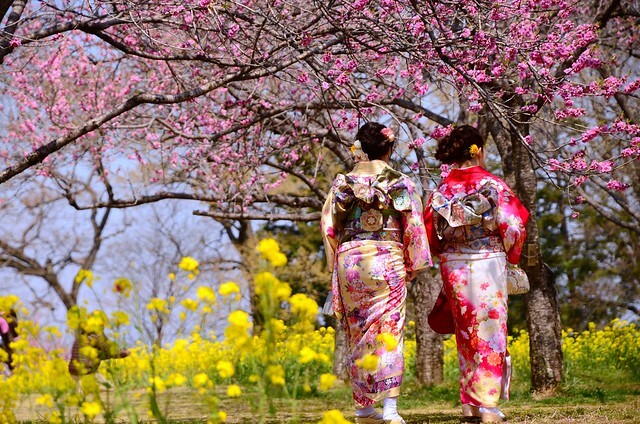 You have delighted us for a long time with your blogs about Japan and their festivals. I am sure that wherever you work your eyes will the the beauty of that place too to enrapture us with your photography. It has been a delight to experience Japan with you! Yes, life has a way of serving up these surprises. Sometimes they turn out to be surprisingly beneficial. It must be a wrench after 10 years; I hope you will find new enjoyments in your new home. What a stunning photograph and I have enjoyed you sharing your experiences of Japan (I lived there briefly once, so it's natsukashii for me). I look forward to seeing what the next chapter brings for you. Hope your new life will be as beautiful as in Japan. Beauty is not only what we find around, but - within... Reflection and wondering/grateful heart always with you. These photos and haiku - awesome! Much Love!